- Power-Saving Mode automatically reduces power consumption by up to 85%. The TL-PA4010PT Kit turns your existing powerline into a high speed network with no need for new wires or drilling. No configuration is required, simply plug your adapter into your power socket and you can establish networking infrastructure in a flash. In additon, its integrated power socket makes sure that no power outlet is going to waste. With speeds up to 500Mbps and 300 meters over the household electric wires, the TL-PA4010PT Kit is a great choice for an easy to build multimedia entertainment network. 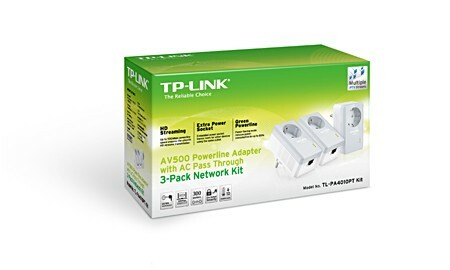 With advanced HomePlug AV technology, the TL-PA4010PT Kit can provide users with a stable high-speed data transmission rates of up to 500Mbps over a household electric circuit for up to 300 meters. 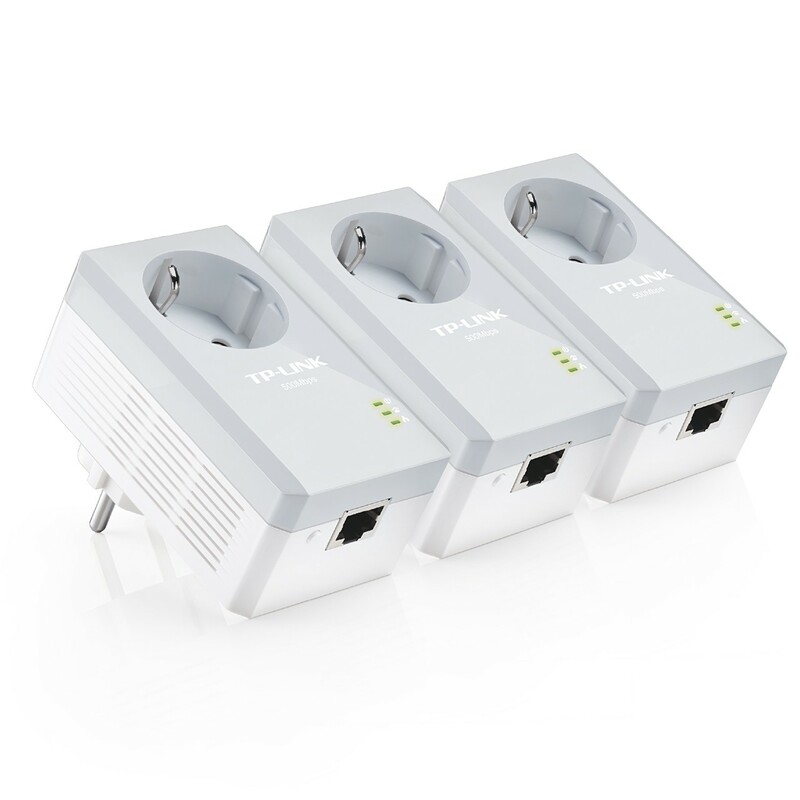 The TL-PA4010PT Kit is a great choice for a whole home solution to connect all network compatible devices--from computers and game consoles to set-top boxes for IPTV to printers and NAS hard drives. 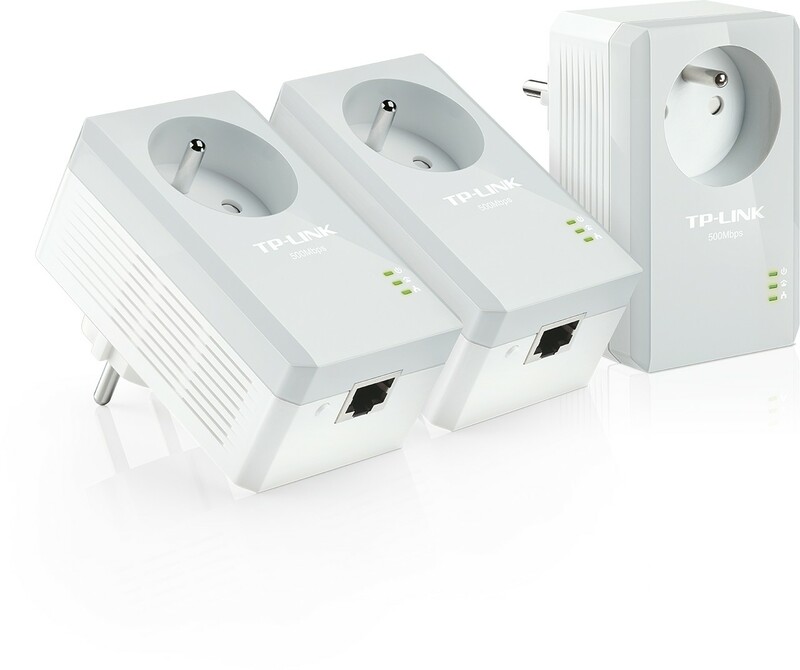 With its integrated power socket, the new TL-PA4010PT Kit provides real convenience for your home network. The integrated power socket allows an additional device or power bar to be connected to the adapter as though it were a normal wall socket. 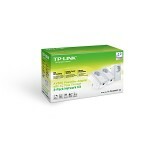 This ensures that even with the TL-PA4010PT Kit plugged in, no power outlet is going to waste. - Plug one Internet connected adapter into a nearby power outlet. 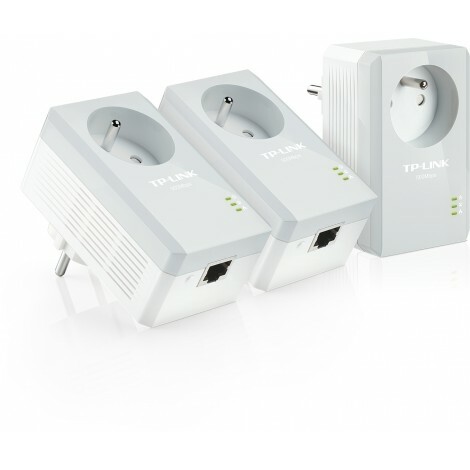 - Connect additional adapters to PCs/laptops/Internet TVs or other networked devices via an Ethernet cable or Wi-Fi - and you're done! With its Integrated Mains Filter, the TL-PA4010PT Kit can optimize powerline communication performance by suppressing noise interference generated by surrounding electronic equipment that can affect network performance. That means that users won't experience a sudden speed drop when a larger power consuming device is plugged into the power socket. The TL-PA4010PT Kit, a new-generation of Powerline Adapter, with its practical product design and environment-conscious Power-Saving Mode, will automatically switch from its regular "Working Mode" to "Power-Saving Mode" that will reduce energy consumption by up to 85%.